A moth with a sixth sense. A wasp that hunts beetles nearly twice its size. The lives of fascinating creatures such as these were unknown until one man introduced them to the world. 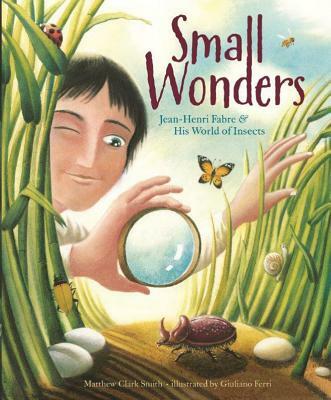 With its lively, lyrical text and richly detailed illustrations, this intriguing picture-book biography introduces the man who would forever change the way we look at insects, bringing to life the fascinating world of dazzling beetles, ferocious wasps, and other amazing small wonders that exist all around us.